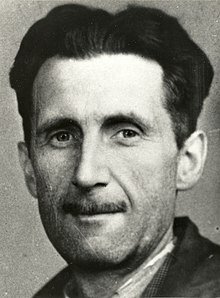 Today's quote comes from George Orwell's essay, "Politics and the English Language", first published in London in 1946. "The words democracy, socialism, freedom, patriotic, realistic, justice have each of them several different meanings which cannot be reconciled with one another. In the case of a word like democracy, not only is there no agreed definition, but the attempt to make one is resisted from all sides. It is almost universally felt that when we call a country democratic we are praising it: consequently the defenders of every kind of regime claim that it is a democracy, and fear that they might have to stop using that word if it were tied down to any one meaning."